First discovered in the 17th century Newgrange is one of three large passage tombs located near the River Boyne in Ireland. To date, 37 smaller tombs have also been discovered in the region. Newgrange is an over 5,000 year old passage tomb built in 3200BC. It is an UNESCO World Heritage Site that is older either the great Pyramids of Giza or Stonehenge. There is one entrance to the mound, and inside is a single tomb. It consists of a long passage and a cross-shaped chamber. Many of the stones on the exterior have interesting carvings. While I was intrigued by these carvings, the most interesting thing about Newgrange is it’s alignment with the winter solstice. There is a roof-box above the main passage which lets in a beam of sunlight for only 17 minutes and only on the 5 shortest days of the year. 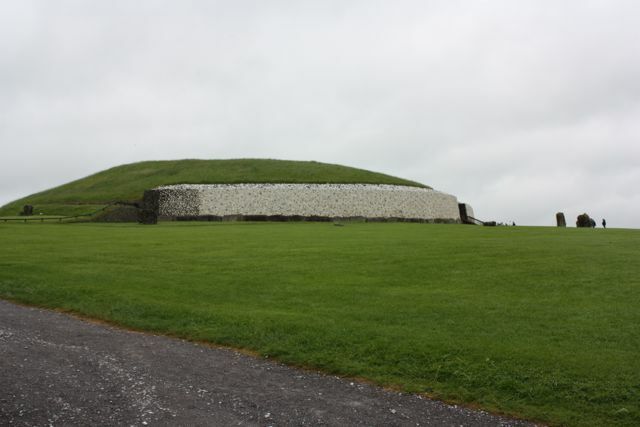 The large mound that makes up Newgrange is about 80m in diameter and surrounded at its base by 97 stones. A close up view of one of the rocks and their carvings. There are 97 of these around the perimeter. We could not take photos inside of the passage or the tomb, but there was a model in the visitors center. 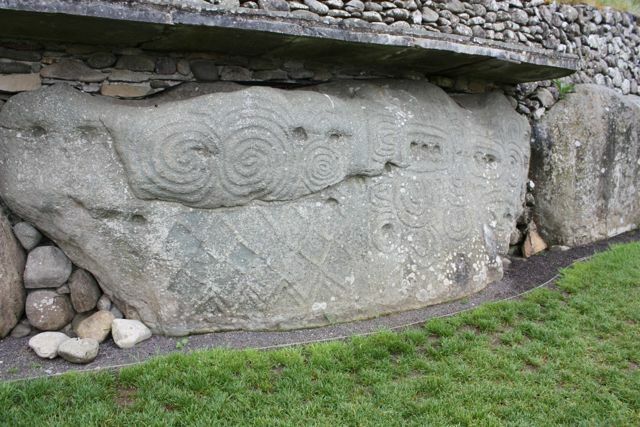 All tours of the three larger tombs (Newgrange, Knowth and Dowth) begin at the Brú na Bóinne visitor center. There are a limited number of people allowed to visit each day, so best recommendation is to arrive early on the day if you want to be sure to get in. 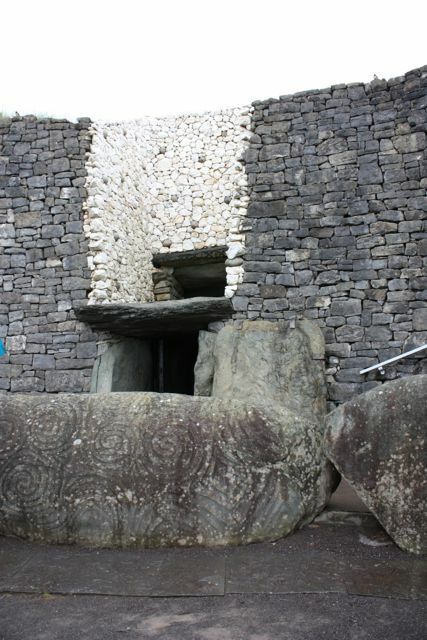 The “model” of Newgrange in the museum – it was the only place to take an “inside” photo. Have you been to Newgrange? or even heard of it before now? What’s the oldest place you have been? Way cool. I’m going to visit there one day. I well remember my visits there…cool place. Glad to find someone else who has been there. 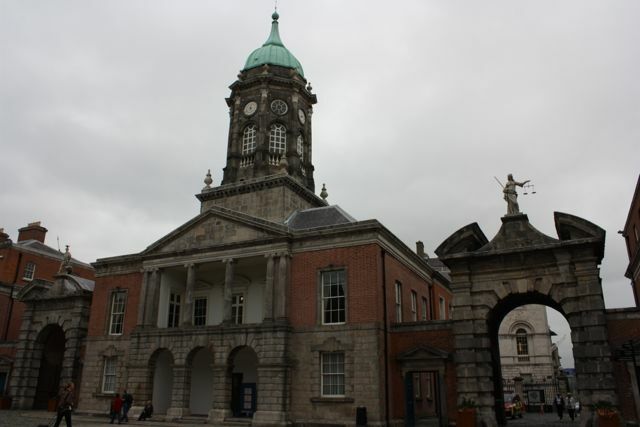 In the south of England there are also hundreds of Iron Age burial mounds and hill forts as there are in Ireland. I’m not sure if they are this old or not, but you see them in the fields and on the hillsides everywhere. Debbie and I went to an Iron Age village in Cornwall several years ago, it was fascinating. 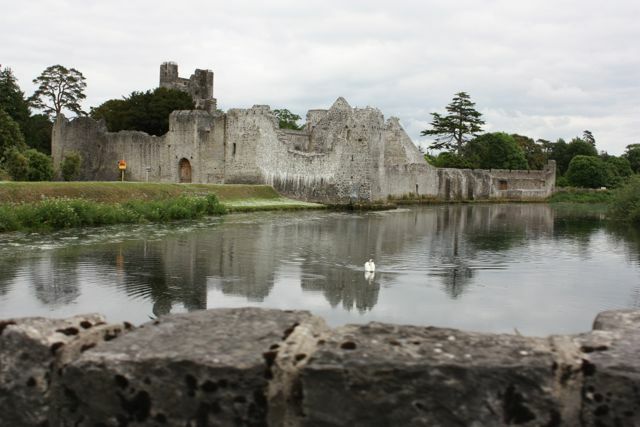 It always amazes me how these places can remain for thousands of years. If only we could go back in time and learn more about the people who built them. I agree, seems sad that we had all this knowledge so long ago and much of it is gone. That is really fascinating! I have never heard of Newgrange before. 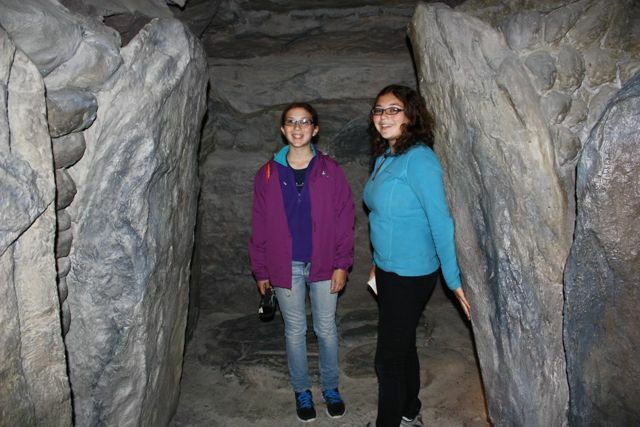 I have visited Stonehenge but probably the most interesting place I have visited was a Danish burial mound. We had to knock on the door of the farmer’s house on whose land the mound was located. He gave us a small bucket with some candles then showed us the way. We then crawled in to the mound. It was just big enough for the two of is to sit inside – we couldn’t stand. I understand these to be more than 5,000 years old. Interesting and creepy. Was it scary to crawl in? I’ve heard of this place before but never been there. But still looking forward for a trip. I do hope you get there one day. It was pretty amazing. Shinelle and I are loving the updates about your trip – you really make it interesting and informative as well, you guys look like your having lots of fun!! Take care and Enjoy your cruise!! Nice to see you here Angela. I saw your double on the cruise. Had to look twice. No Shinelle though, and I knew you wouldn’t be there without any of your family.